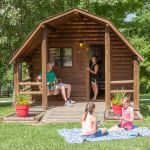 Ask fellow campers about "Renfro Valley KOA" and nearby attractions. Not big rig friendly! Steep, narrow roads and tight sites. Nice staff. Will not return in a motorhome. We camped at Renfro Valley KOA in a Motorhome. Stayed one night on way home from Florida. Weather is still cold so pretty empty. Nice staff. Site was pretty decent. Great looking playground and pool (not open for season yet). Cute cabins. They have a nice store and pizza. Would stay again. 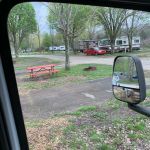 We camped at Renfro Valley KOA in a Fifth Wheel. We stayed one night. We were assigned a site when we reserved but when we arrived it had been changed. We were led to an unlevel site in the trees with no line of sight for the satellite and poor wifi. We insisted on the site were initially assigned and were reluctantly given it even though the park was virtually empty. It was level, with good wifi and a clear line to the satellite. Positives is that the facilities were spotless. Negative is that the water pressure at our site was extremely low. We camped at Renfro Valley KOA in a Motorhome. We just stayed here for one night on the way to Tennessee to visit kids and had a pull-thru site. The sites are terrible. We have a dog and there was no where to let our dog out by our camper as it was a total dirt site. They had grass sites available but they weren't using them. The pull-thrus go in opposite directions every other one. Meaning your main door and patio area will face the neighbors main door and patio, giving you NO privacy. So sitting there in the morning drinking coffee watching my neighbor come out and do their thing. A little awkward. By far this has been one of my least favorite campgrounds. The sewer hook up was no where close to my sewer hookup on my camper, so I could either pull forward and block the road or dump at dump station, which I did. When we make the trip to Tennessee this year we will find a different campground for our stay over. 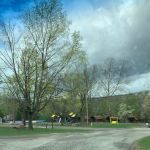 We camped at Renfro Valley KOA in a Travel Trailer. We stayed one night on our way further South. Information was left at the office for late check in, and we were able to find our site and set up easily. Site was gravel and grass and was level. The hookups were within easy reach. Lots of trees and shade. Staff in the store and out in the park were very friendly, knowledgeable, and helpful. Many of the sites are 'buddy' sites meaning that two RVs would face one another with a shared grassy area between with tables and fire pits. This is a great option for families or friends traveling together but wouldn't be so great with strangers. The campground was not at all full on our visit so there was plenty of space, and no sharing with a 'buddy' on this trip! Other facilities - pool, playground, jumping pillow, etc. looked well maintained although we did not have the opportunity to check these areas out in depth. Restrooms at the main office were very clean and looked renovated. A substantial number of cable channels were offered. We didn't have the need to use WiFi for our short stay. The store had limited grocery items but it was somewhat early in the season so there might be more later when visitation is higher. There is a narrow, steep road entering the campground but it was no trouble getting up and into the park. 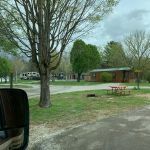 We camped at Renfro Valley KOA in a Travel Trailer. Renfro Valley music performance area is maybe only a mile away from this campground. A bit further towards the freeway there are fast food places, gas stations, and a few other services. Very steep winding road leading into campground. Quiet park but older. Spacious lots, some offer shade. Site surface is gravel and features a picnic table. We camped at Renfro Valley KOA in a Motorhome. This was an overnight stop for us on are way to Cincinnati, we have stayed here before. The campground is easy off and back on I75. We requested a pull-thru so we didn't have to disconnect our Toad. The PT was long enough for our 35 ft MH and car. Site was reasonably level. PT sites are opposing, so your picnic table and your neighbor's may be right next to each other We were in site 40, Water, Sewer and 50 amp (voltage was 117-122) all worked well. Cable did not work, WiFi was better than most campgrounds these days and our AT&T cells had 4 bars. Our site was paved, inner roads were stone. Big trees prevented our satellite to connect. Being just an overnight for us we didn't attend their movie night, but did stop by the 'Barn' for their $5.00 Saturday breakfast, which was great. The staff was very friendly. We'll stay here again when in the area. We camped at Renfro Valley KOA in a Motorhome. Easy exit from I-75. There seemed to be some long term campers here, but NOT permanent residents. We arrived late but our paper work was waiting for us. Though we didn't use it there was a covered outdoor kitchen with sinks and stoves. What a great idea. The campground is on the side of the hill and many of the sites are not level. 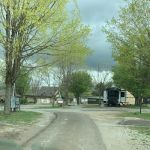 We camped at Renfro Valley KOA in a Travel Trailer. Renfro Valley is a popular bluegrass/country music venue. Campgrounds in the area will be full during the performance times. We would stay here again during off seasons but never when the campground might be fuller as the sites are too close together for our comfort. Nice clean campground that you would expect from KOA. Site was level pull through but very tight with FHU & 50 amp. Restrooms/Showers very neat and clean. Campground has lots to do for the whole family. Very easy off/on I-75 We camped at Renfro Valley KOA in a Motorhome. This is a nice park with shaded pull thru sites. The attendants were very nice and helpful. I am not a big fan of KOA and so not a member and therefore no discount but this park provided full hook up with cable for $43 which seemed reasonable. 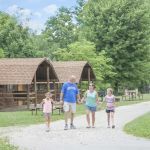 We camped at Renfro Valley KOA in a Motorhome. The entrance and exit roads are a bit steep but doable. The roads could be wider. Not much swing room to get out of site. Office staff friendly and quick check-in. We camped at Renfro Valley KOA in a Motorhome. We didn't find much to do in the area. No large grocery stores. Thank you for staying with us, and we're glad you made it in and our of our park safely! We are also happy our staff was able to impress you with their friendly service. We appreciate the review, and hope to see you again sometime. We had a nice big site with nobody else close. Utilities worked well. Wifi poor. Unfortunately, this KOA is like too many that are showing their age - many sites too small and not level. Steep climb to get in, but fortunately it was one-way. Nice playground for kids. We camped at Renfro Valley KOA in a Fifth Wheel. Thank you for camping with us this past fall, 'padre'! We are glad that you enjoyed your site during your stay. We are always open to suggestions on ways to improve our park and do appreciate your feedback. We hope that you give us another opportunity to impress and wish you all the best. 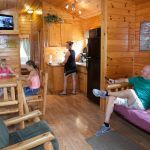 Are you affiliated with Renfro Valley KOA ?